I refer the honourable member to the answer I gave some moments ago. It is neither simple, compact not elegant. Oh, really? That is a pity. well that took a left turn! 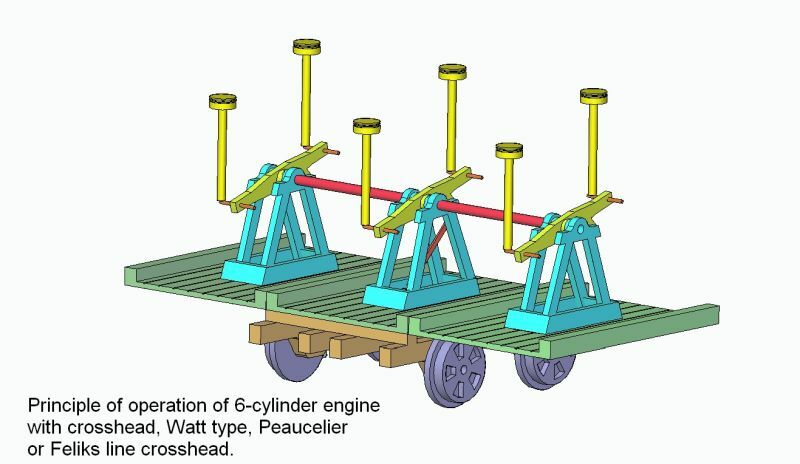 Principle of operation of a 6 cylinder engine with a crosshead, Watt type, Peaucelier or Feliks line crosshead .. So what gives us ... no friction piston by cylinder, so we can give up the oil for lubrication (oil pumps too), and gives 15% torque increase. 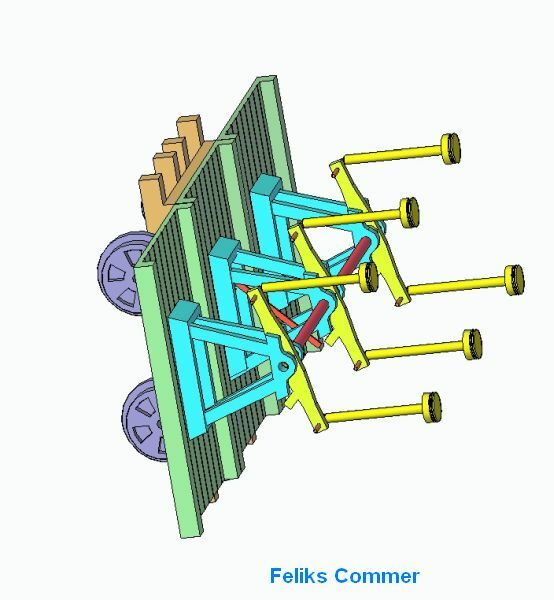 Possibility of excellent cooling of the pistons with water, which will increase the compression ratio by 2 units. 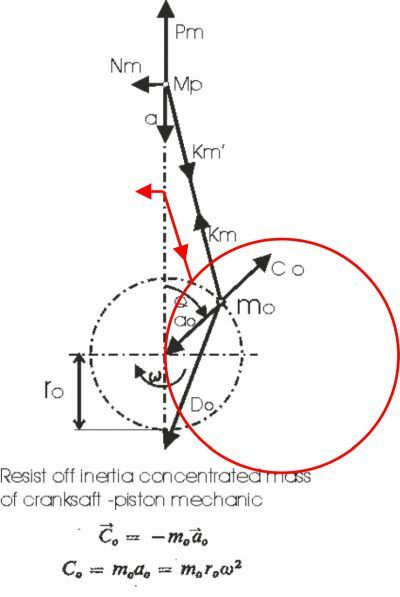 this is the next 10% .. Well, ecology, no oil burning, and less NOx, because in the chamber lower temperature ..
"You think that 15% of the IMEP is absorbed in sidethrust on the pistons? Don't think so, most of the FMEP is piston rings." Well, unfortunately this is not true ... But so far people have thought so ... If you liked playing with a calculator, which I published a few posts above, then you probably already knew how much the reaction of the piston to the cylinder ... Publishes again with my setting value, and clearly see that this force reaches even 30% of the value of the force giving the torque .. derived from the combustion of fuel .. 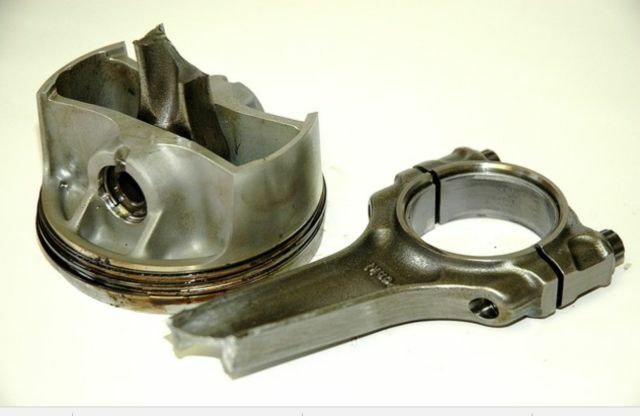 Contrary to appearances, the force of pressure on the piston ring piston is small compared to this force, because it is in the pressure of relatively the small force coming from the bending of the piston ring, which, as you probably know, we can easily squeeze with fingers ... ..... So that the force in comparison to the force of lateral force is many times smaller, if the engine performs heavy work .. And is independent of the load of the engine, it has practically constant value ... independent of the engine load. "I'll take real data even though it is hard to understand, compared with cartoons, thanks." because if they learned from such scientists, which draw their conclusions a bit, it's no wonder .. And then they do not know what to pay attention to, and they deal with matters that are not very important, not important. Strength tensions piston rings is `5 KG, and the side force of the piston is 150 KG, For them it is" half "..
Eat here and imagine that this side force is one-tenth of this force which has been hit by a connecting rod ..
and here, in this photograph, it is perfectly visible that if you replace these connecting rods and the crankshaft for these 3 additional cylinders 9 Next 6 pistons), for which you can clearly see that the place is, and outside put one crank with two connecting rods, then the strong , pratically with the same dimensional parameters and the same could be more likely to have TWO TIMES more power ... 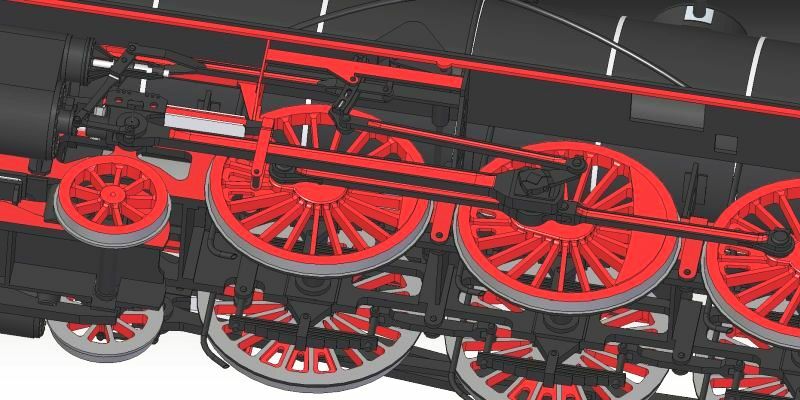 If like comon rail to use, then surely and the plane would be suitable with such parameters ..
Well, if we were to convert the Rootes T4 version, then it would be 400 Hp with a good speed for the propeller. 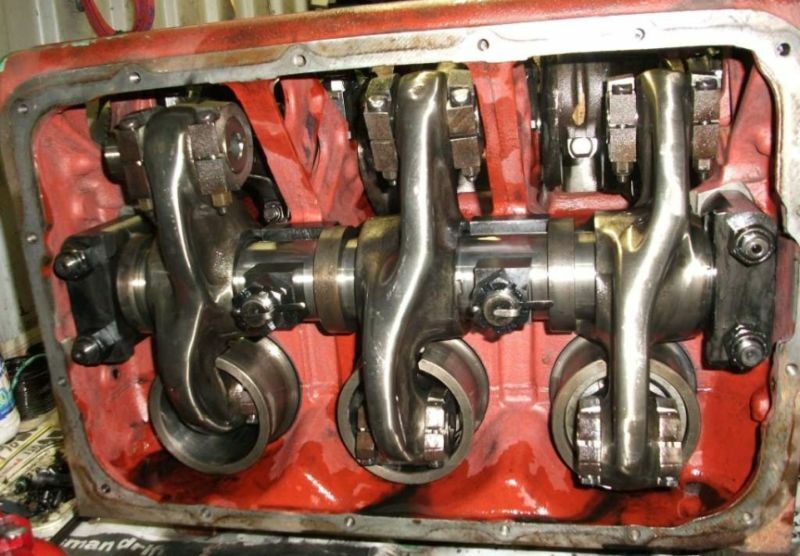 Yes and in this even 8 cylinder engine (8 x 2 piston), only one crank and one "real" connecting rod .. ..
Do you know how many reciprocating masses less? 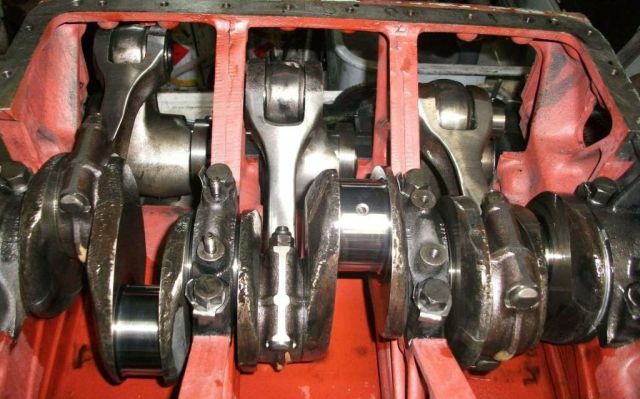 Here is the solution for a normal 4 stroke engine ... it can be 2 x 8 cylinders with heads ... And this roller is common to everyone, it can have diameters ... clutch shaft ... . I thought I was following my previous posts. 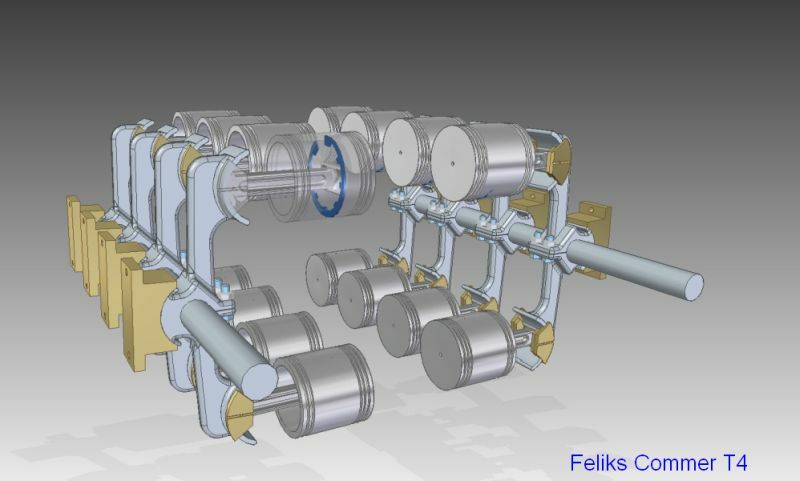 it will be clear ..
Of course, the levers are not turning on Feliks Roller anymore, but they are connected with it permanently. 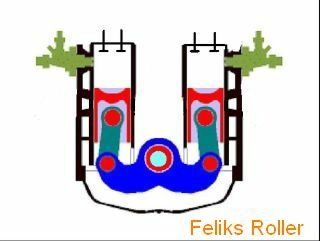 The entire Felix Roller is burning and only at the end it drives the one Connecting rod. 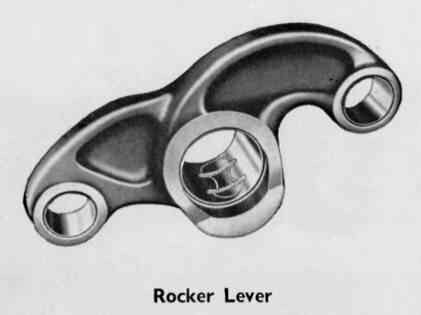 Here is a similar rule that I have for the half rotate of the "multi-cylinder"
The shaft is also fused on two bearing shells .. it was created due to the seizure of the engine dynamometer. 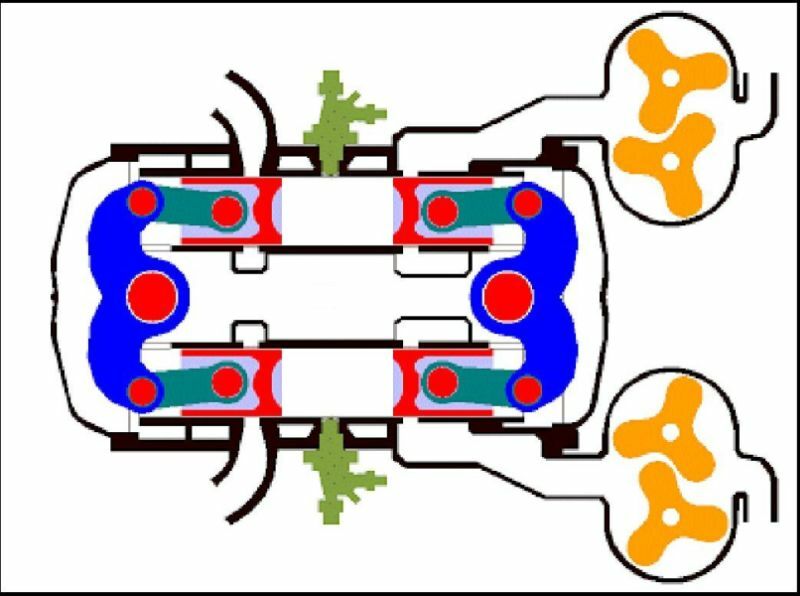 I thought that at 3500 revs per min which was generated by the electric dynamometer on which I mounted my engine, nothing bad will happen .. but as a result of 3 times in most of the forces coming from the gaseous forces, the engine faded. 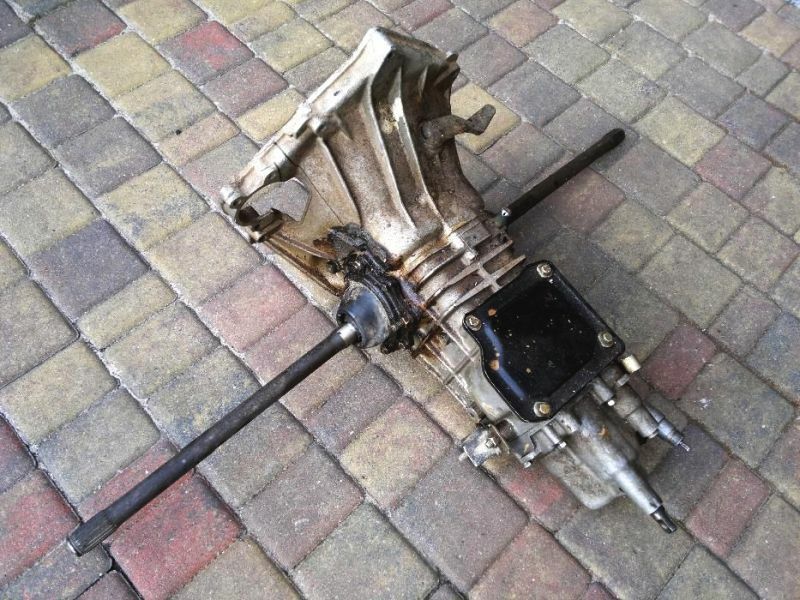 In the second photo, the connecting rod, which was completely polished, that's why you can clearly see the change of colors in the sky, which occurred due to this seizure ..
Of course, I rebuilt the engine, but I will not put it on the brakes anymore ..
My project Feliks Commer T4 engine will have about 500 hp, with a weight of about 500 KG, here you can make such a stellar version put together 10 engines (on the left and on the left side of the star) It will weigh about 6 tons and had 5,000 HP. .. It will be suitable for the propulsion of a small ship .. or for the production of 5 MW of electric energy .. with long durability and efficiency .. 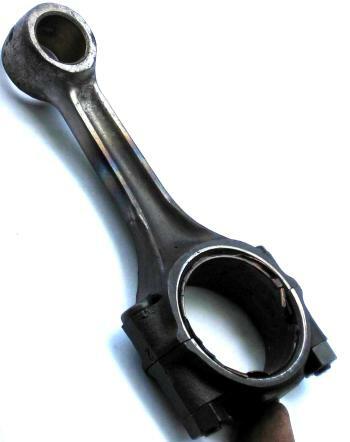 In the whole engine there is only one bearing in the connecting rod. The rest are half-turn pins. 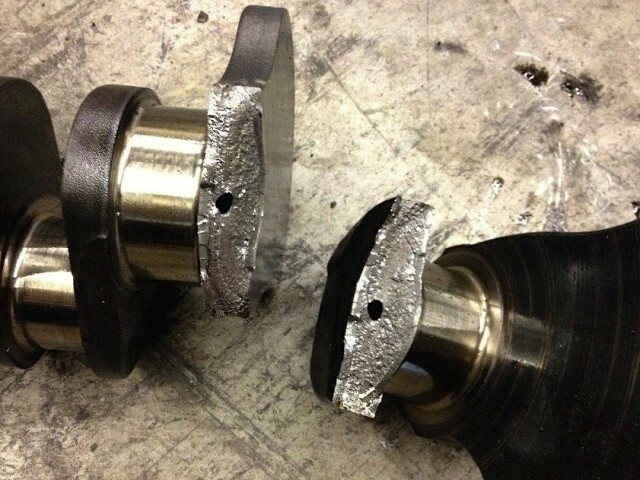 So, the engine's failure will be significantly increased. 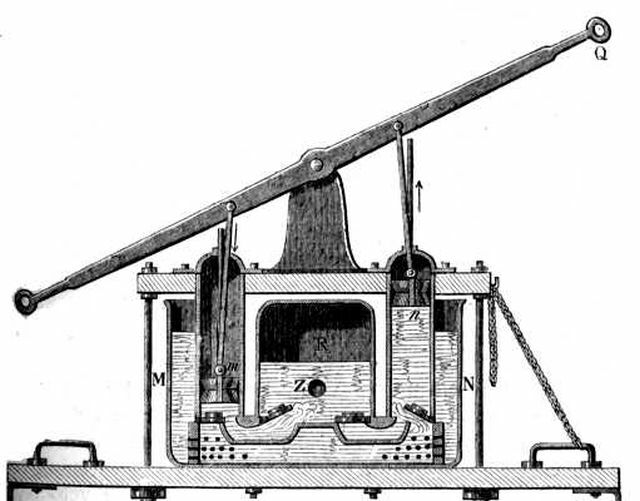 Here the red line is marked by the piston path associated with the lever. 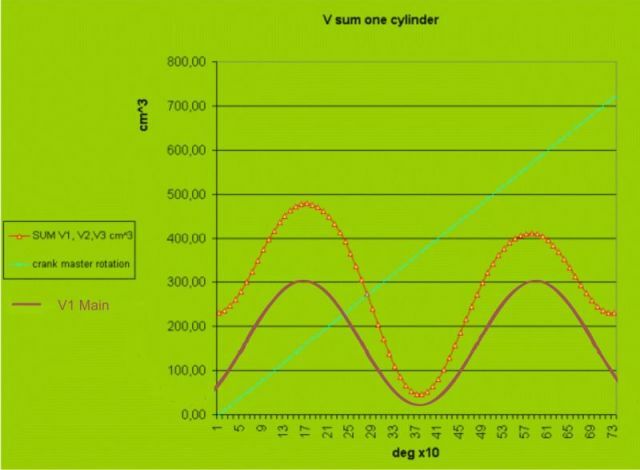 At 90 degrees the pressure of the piston on the cylinder wall is equal to 0, and with the traditional system the maximum .. And then we have virtually full torque .. 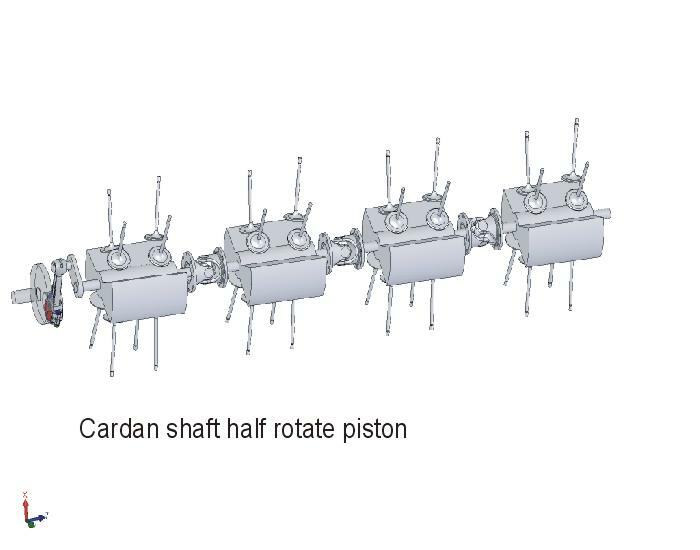 Here, such a connecting rod of my idea .. For a semi-rotary shaft, it can be such, because all forces act by pushing the connecting rod to the lever .. only incidentally it is possible to act detachment parts from each other, so its protection can be negligible .. During normal engine operation, piston it is only pressed against the lever all the time .. 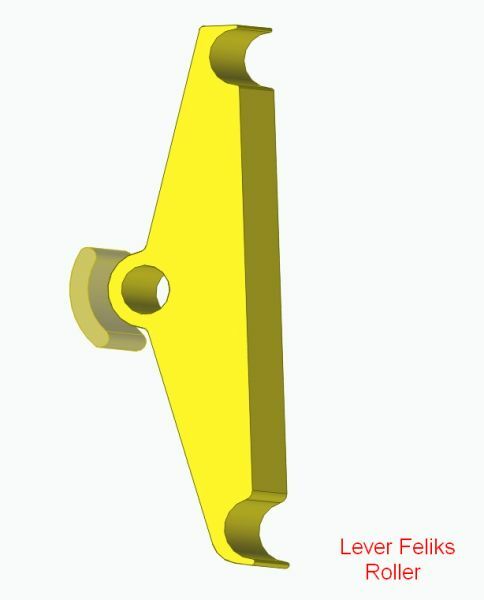 However, the cooperating surfaces are relatively large, and the connecting rod weight is smaller .. Formy Feliks Commer .. Here in my hand the engine shaft from my new4 stroke ..
they have a diameter of 25 mm and a long length .. I have never seen a failure in these half-axes. 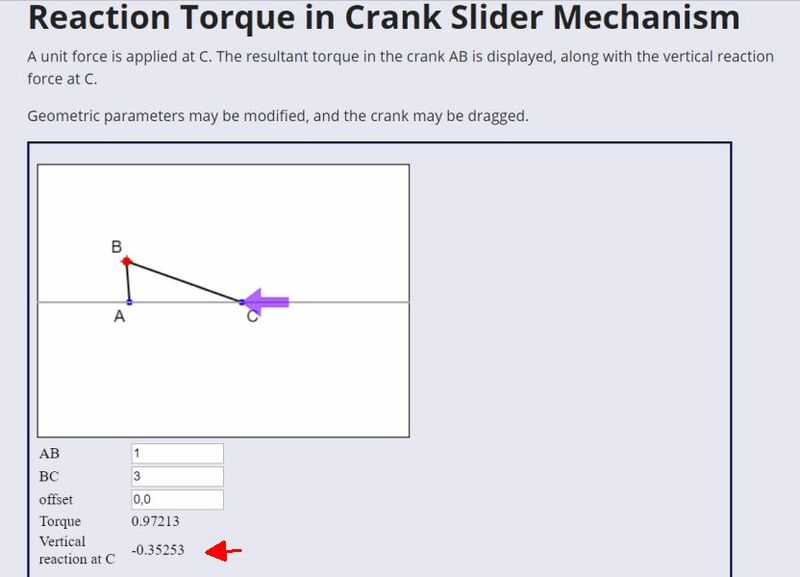 That is, to transfer 8 times more torque, this dimension is enough .. 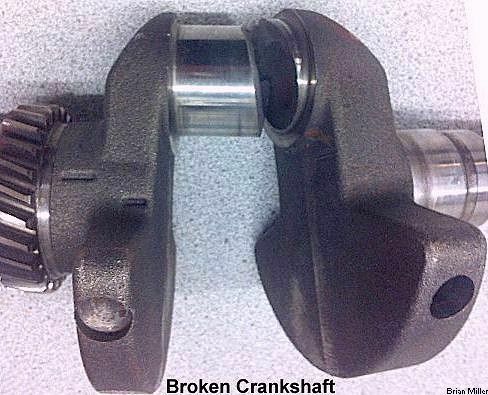 The title is an explanation of why the classic crankshaft is a fatal construction and despite the large dimensions it bursts .. as seen in the pictures .. Here a little about the crush of such shafts, which even without load, under their own weight can be bent. 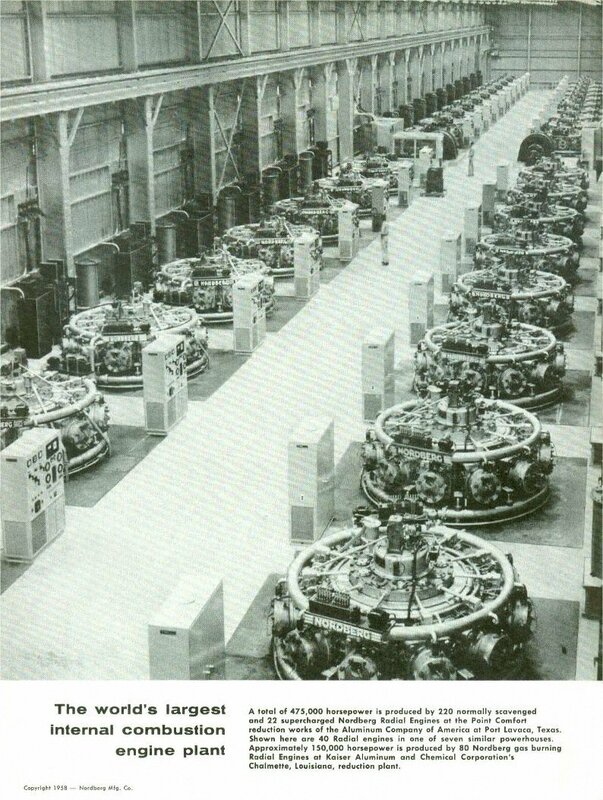 This is called the springing of the crankshaft. 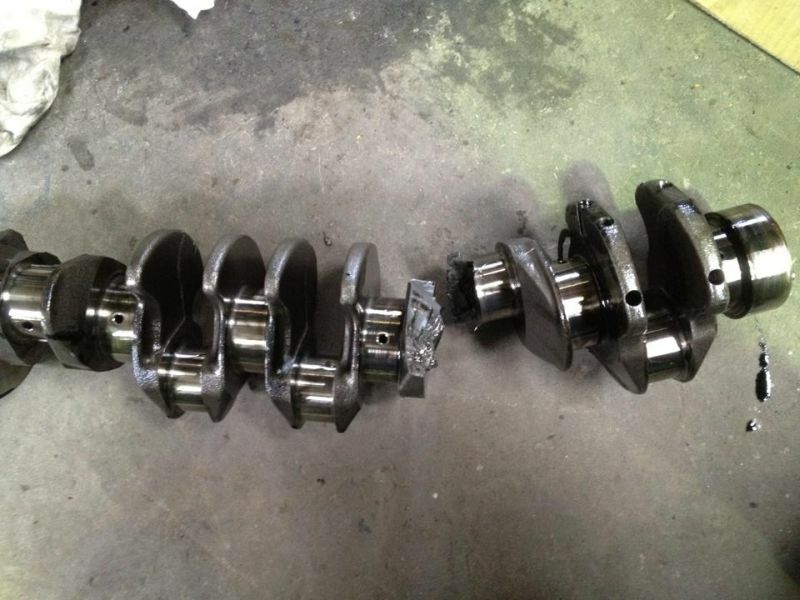 This causes a fatal rule of the "crankshaft" in its very construction. 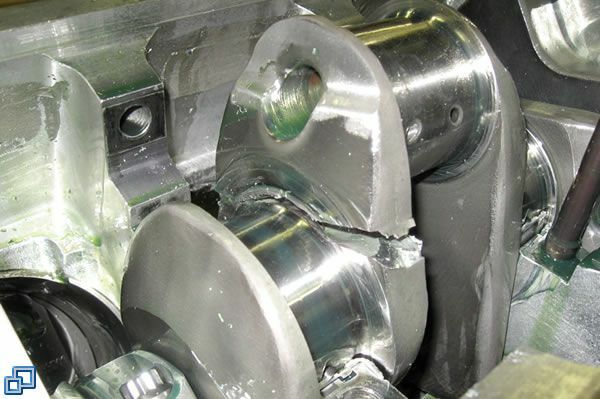 So a single-sided crankshaft is no longer so emergency, because it does not have this bending, as well as its design must be sufficiently strong. Most interesting Andrew but you won't find the answer to my question in the workshop manual, you will only find it by experiences caused by working on this type of engine. 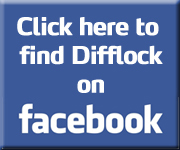 It was, as I said a very common occurrence caused solely by not decoking the engine. The excessive backpressure, as shown by the gauge on the control panel clearly showed the fault. The bar magnet was used to get the broken part of the engine out, when ground correctly this part, being made of carbon steel would make an excellent addition to your tool box. 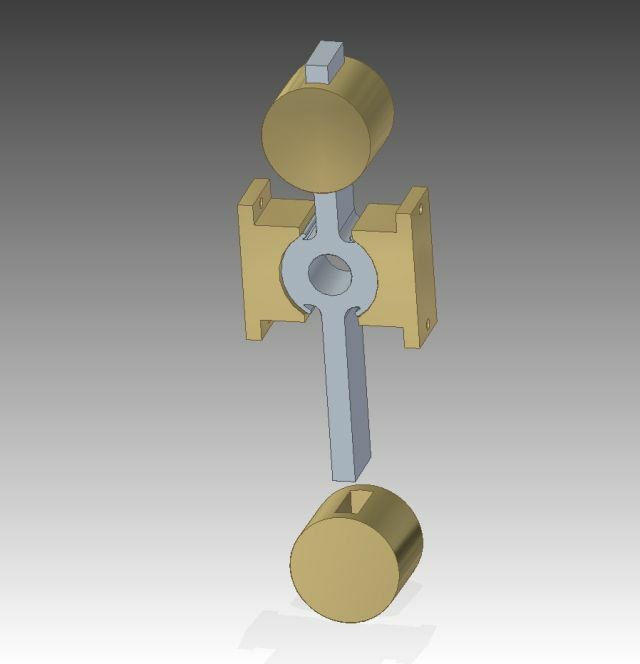 That crank, sure it's not a wrist watch crank? 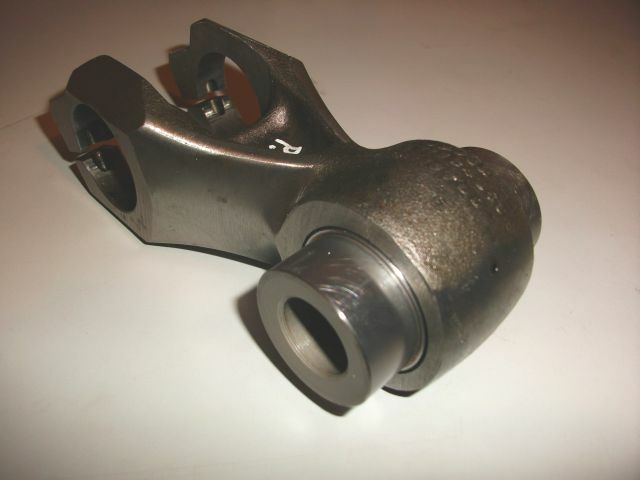 Think about the back pressure load on parts caused by excessive carbon build up on two strokes. You have noticed the excessive accumulation of carbon. 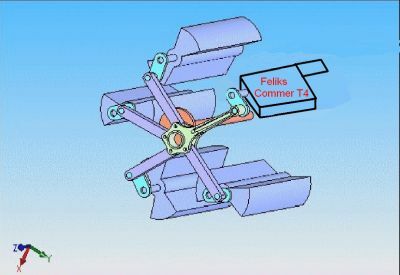 Now that we have a new type of engine Feliks Commer, where there is no classic crankshaft, only pins with a diameter of 30 mm, we can approach the issue in a different way, as it was so far. These small plates do not need such lubrication as large crankshaft bearings, besides they do not even turn round, and do semi-turn .., so the lubrication can be a little smaller .. I do not know if you remember that two-stroke engines for motorcycles, are lubricated only with oil in the fuel and in a ratio of 1: 50. And these engines, completely protruding .. so I thought that my Felix Commer can be lubricated with normal diesel fuel, also with the addition of this oil, let's also say 1; 50 as we will take into account that diesel fuel already has good lubrication in the sona .. Imone would be poured into the engine instead of lubricating oil. Well, when 10 liters of such fuel are needed for lubrication, the amount of oil added would be 0.2 liters .. No and I think that this quantity would not plug the windows, because the rest would be the same as the main fuel, it would be fired without coke .. And I think that this should solve the problem of this too nagar. 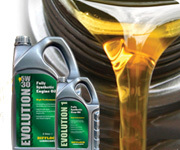 Simply a new lubricant oil felix, i.e. 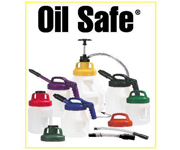 diesel fuel plus 1:50 oil for two strokes ... .. poured into the engine, instead of lubricating oil .. It would have such advantages that in the winter it would not be too dense, and in the summer too sparse ... ... and this price is not too high ..
here, one bottle is enough to make 50 liters of "feliks oil"
Here are a few examples, however, that the crankshaft is not necessarily a successful construction .. and despite its thickness, sometimes it ends ... And I will ask if ever seen such a broken clutch shaft, despite the fact that it is much thinner than the crank ..
it's about the steam engine of the "Monitor" ship, which contributed to the victory of the Union, but later sank in bad weather. Since then, these genius technical solutions have been covered by the ocean. 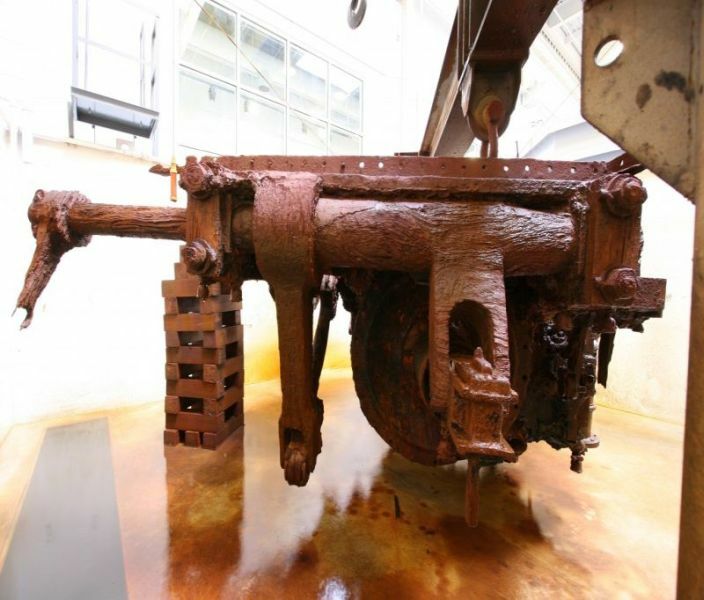 It was only after 140 years, an attempt was made to extract the "Monitor" engine, it was retrieved in 2001 and reconstructed for the next 10 years. 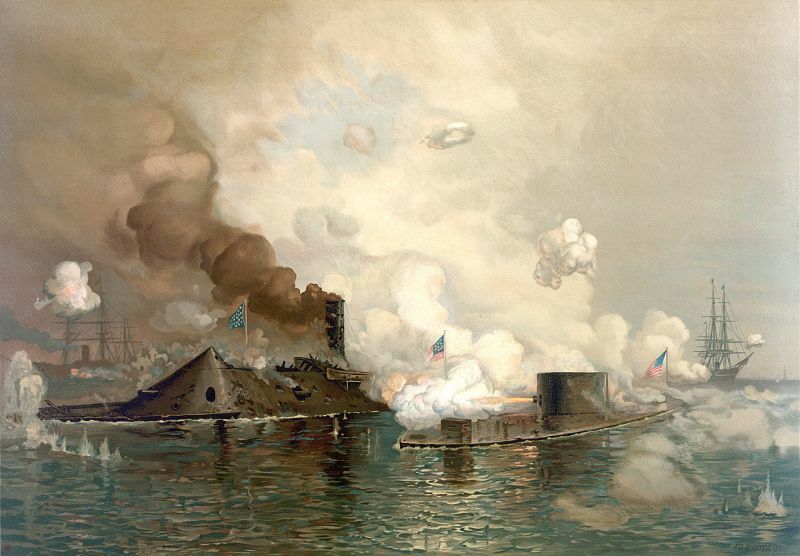 Thanks to this, they saw the light of day and became popular only, the technical solutions that were used there during the entire 150 years, when the ship was covered with the ocean, they were not remembered too much .. Here, the history of the project and the way in which this ship and the steam engine was created .. here is also a movie about how the engine model works. After covering the "Monitor" engine, I was very happy that my relationship had already been tested practically, but only for two cylinders .. 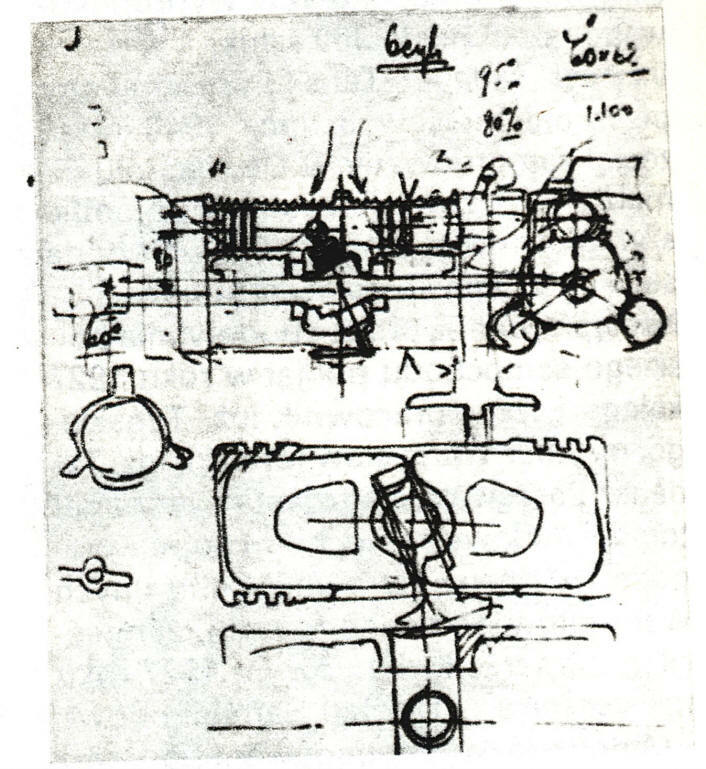 It lay hidden under the water these 150 years .. but now everyone knows about it and can see that the solution works ... for 150 years, no one took it into account .. My Feliks Roller system I designed for 8 cylinders and 16 pistons ((Feliks Commer TS4) .. with the reception of the main power, on the crank shaft one-sided supported .. On the other hand it can be a small crank driving the shaft going to the front of the engine, driving the water pump, fan, generators and compressor, but flexibly coupled ... (as in "Monitor" driving the timing) Here is the animation that I made, showing how the main engine system The Monitor was working. Yes, this story is coming round and that's why it's worth knowing .. This is the history of the United States ..
F/A, its all very well..'waxing lyrical' - about USA civil war tech.. but don't dis' them good ol' southern boys of the CSA.. 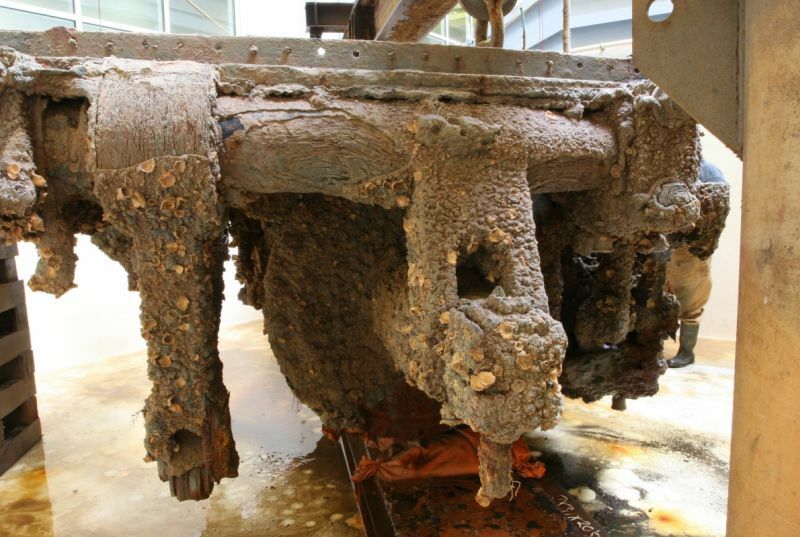 Here's the CSS Hunley.. 1st combat success for a submarine.. & how's about that... for a crank-rod propulsion linkage..
And here Monitor engine after extraction, but still not preserved .. 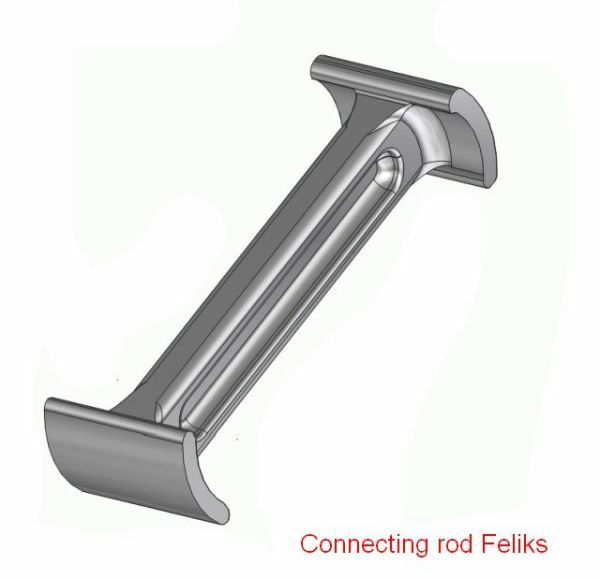 Here is an elegant first prototype of the Monitor .. short Feliks Roller. 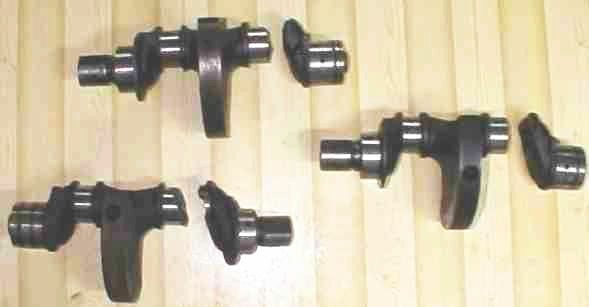 Do not be puritanic when it comes to cranks ... one crank wheel can be instead of 16 crank. 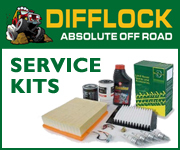 Particularly, it is time to replace this most expensive rotational part of the engine .. Here's the version of you tube Monitor's basic animation ..
Well, of course, the masses reciprocating a little smaller .. Here a little bit about how this multi-fuel engine works .. 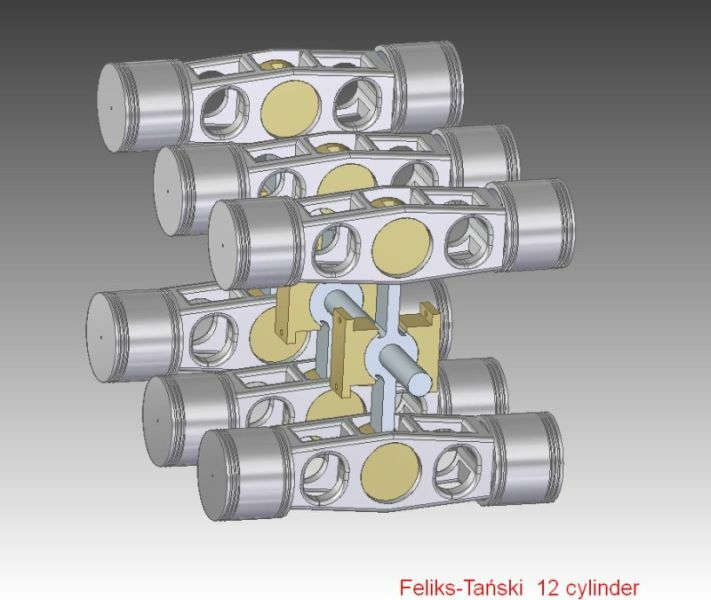 This is 12 cylinder dual boxer or H engine .. name Feliks-Tański engine.. So where does the sliding motion take place? The oscillating arm is changing length as the pistons move. These brown elements can be made of Teflon with bronze or graphite .. 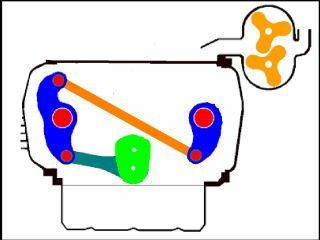 They have relatively large surface cooperation, so the pressures will not be large .. so they can be done this way ..
also, lateral load will depend on the friction in the slider mechanism on the ends of the "crank"
So that in total this friction will be only some trace amount, we can practically skip ... .. 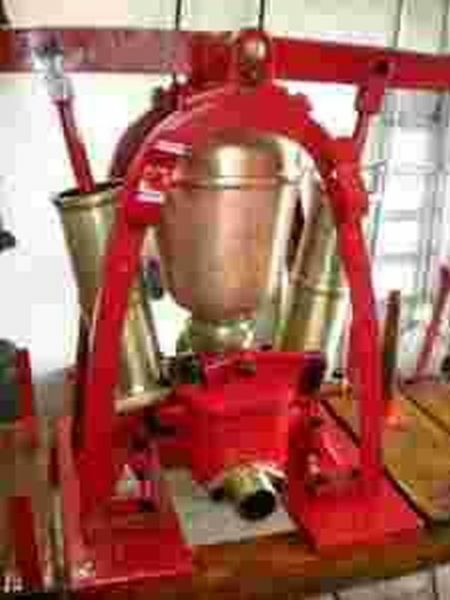 So inventor John Ericson contributed to the good history of England. Here with a sketched diagram in cylinders. the basic standard norm poped by the timing. You can see a huge difference in capacity volume and its asymmetry .. 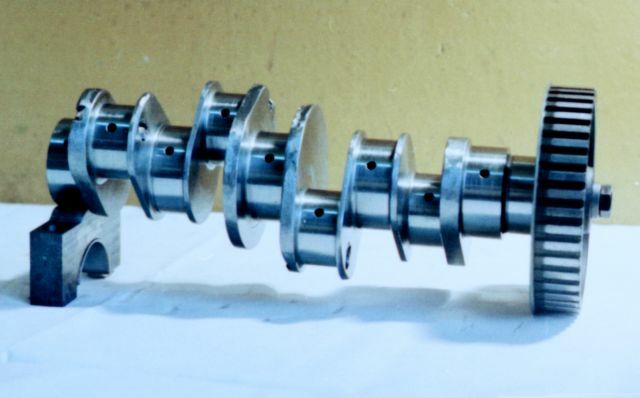 Adding well-done gasodynamic phenomena, the volume of one cylinder can even be 700 ccm of really sucked air, with a basic piston of 300 ccm. Well, it's a little not surprising to receive this 200 hp at 5000 rpm with 1 liter of basic capacity ..